can you show them this topic? Also some people refused to vote because change.org sells your mail for money. 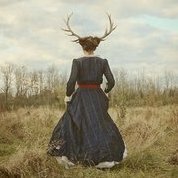 Just like this one. Even GTASeriesVideos supported this one. Would be awesome to have Yan2295 covering us too, his gf used to follow me on Instagram, I Just sent her a message asking her If she could sign and ask yan's support. Fingers crossed. Have you guys contacted those Youtubers? Yeah, unfortunately petitions don't really get Rockstar to budge on anything. But when the game comes out on PC, you can look forward to some mods that restore the original hairstyle. 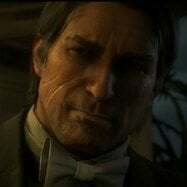 Has anyone else mentioned that John in the epilogue is a different John model than in the main story? John in the epilogue IS a duplicate of Arthur's complex player rig, it's not just a hair swap. They reshaped it to look like John but can't quite scrub away Arthur. I get this is what they did in the previous game with John and Jack. 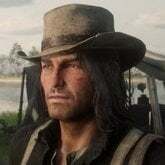 Because of the complexity with Arthur's player rig though, I highly doubt Rockstar will be poking that house-of-cards anytime soon to change hairstyles. Personally, John in the epilogue looks too cartoony for me. Something about his eyes and facial proportions when compared to how realistic Arthur comes across. It's strange because John appears to have different running animations. Or if he doesn't, they look sufficiently different enough on him that they looked new to me. I think his model is distinct enough when dealing with the clothes that were "meant" for him. So the wardrobe he's given by Rockstar as part of his RDR1 looks. The Cowboy, Cowhand, Winter Cowboy, etc... it all fits him well. Especially the ranch pants (which Arthur can wear too). It's when you start wearing clothes that are shared between Arthur and John that the model similarities start to really show. I'm not even talking about wearing Arthur's default clothes, but basically anything that you can buy as him at any store. Rockstar and petition shouldn’t be used in the same sentence. But good luck anyways, god loves a trier! Yes ONLINE biker dlc. If its for Online, Rockstar are all ears. Glad that I'm not that sensitive about this. I don't give a f*ck since Arthur is all that matters to me anyway and the new Austin glitch only makes things better. Oh I never will download a patch ever again. I haven't even downloaded 1.05. Is this bait? Cause Arthur is miles better. And he can actually make me laugh as well. Are you guys helping by sharing It?